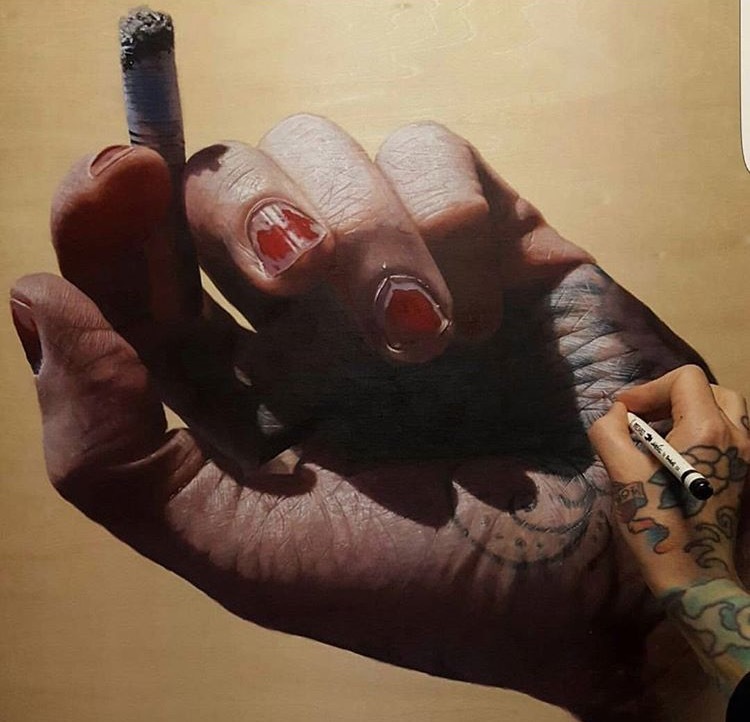 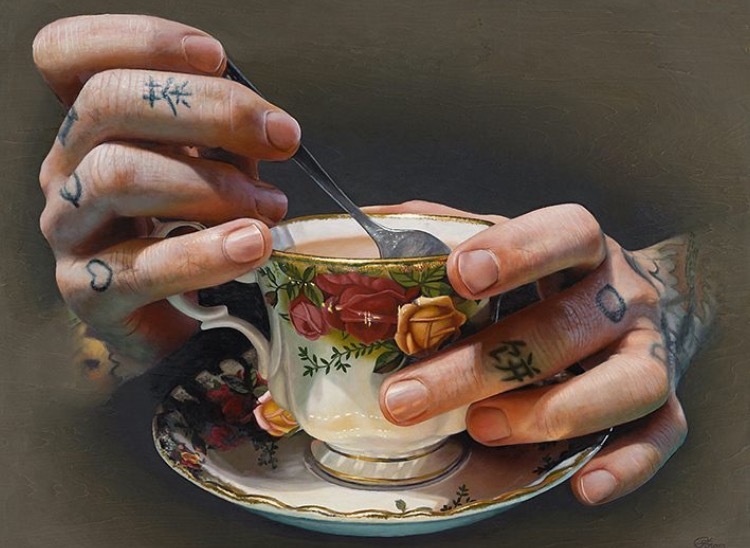 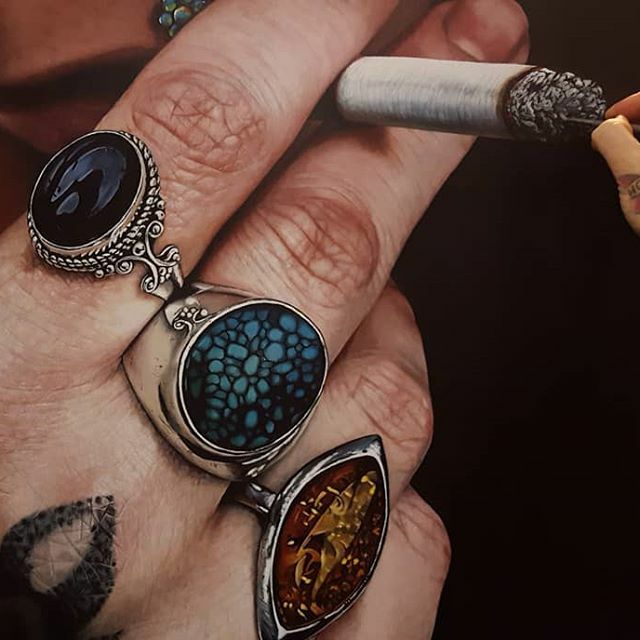 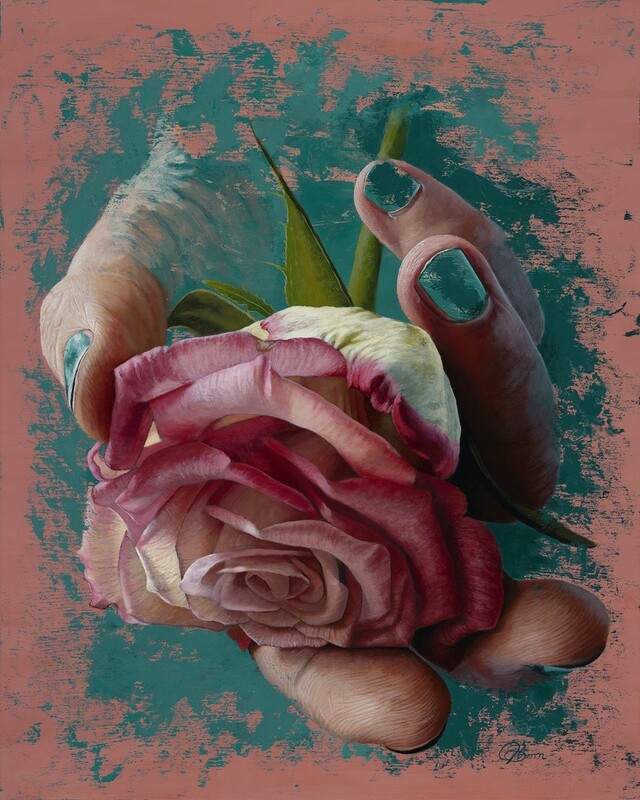 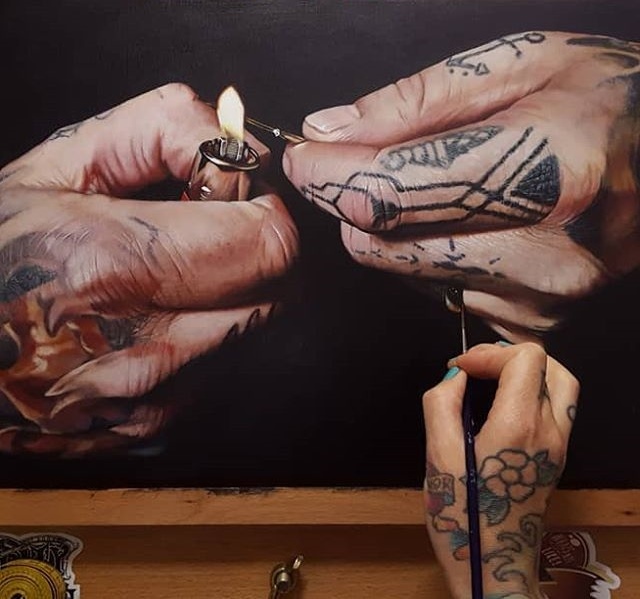 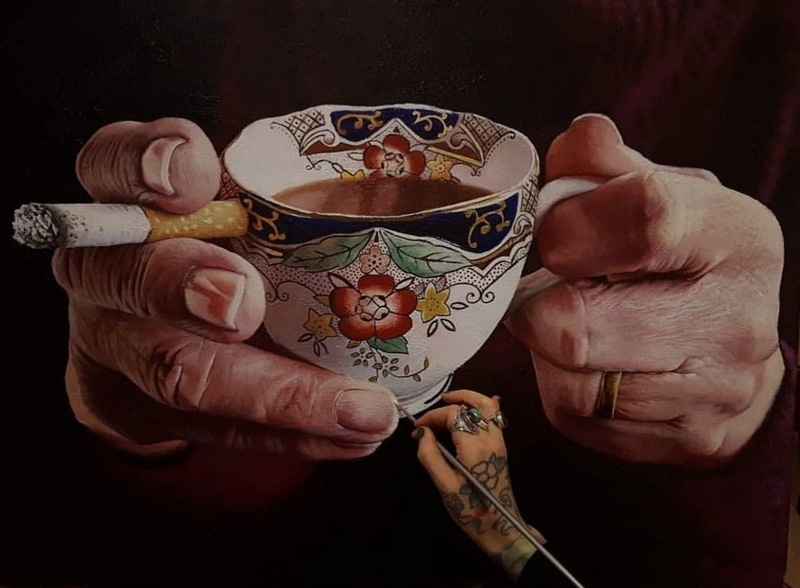 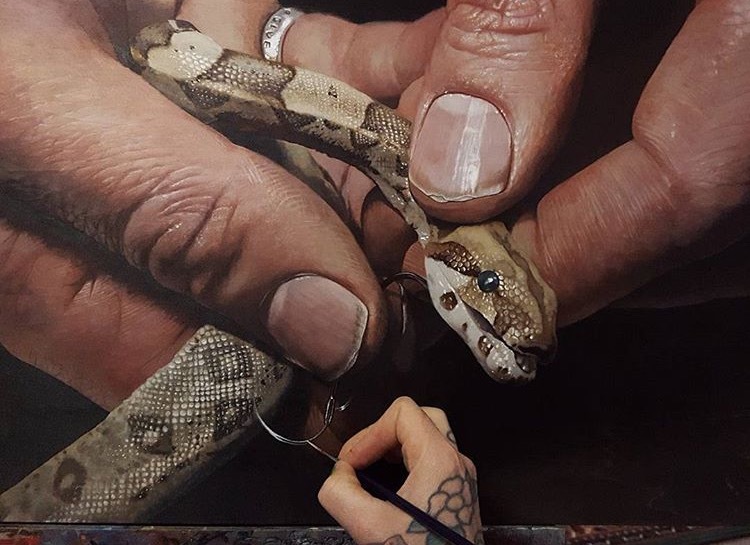 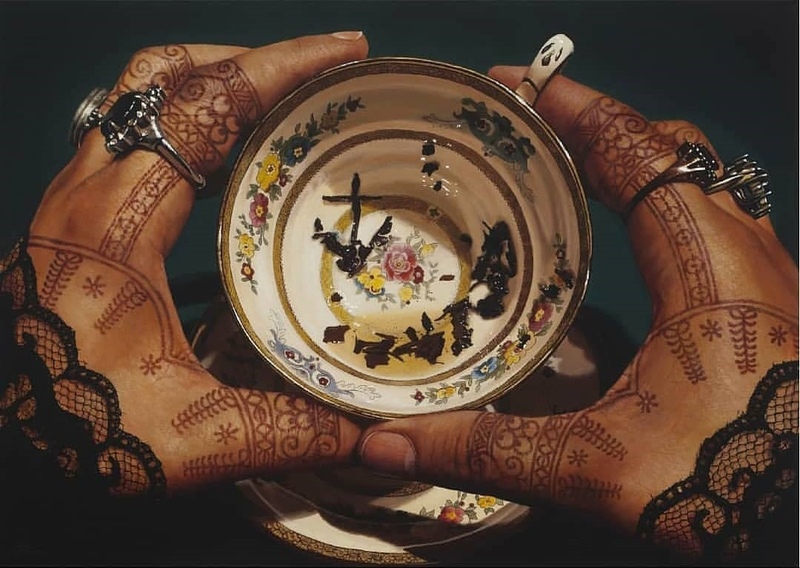 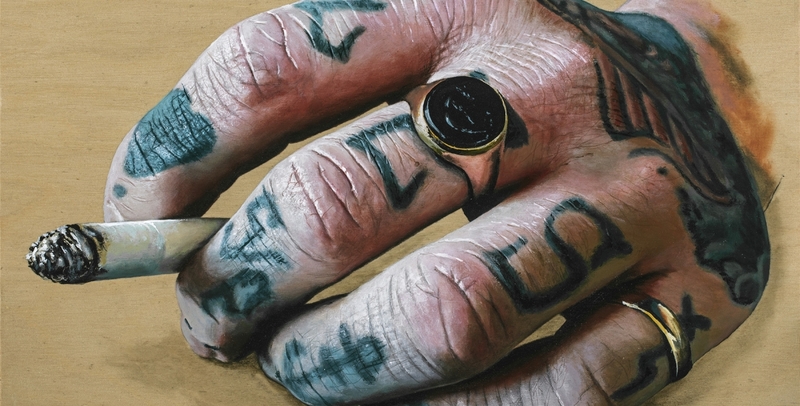 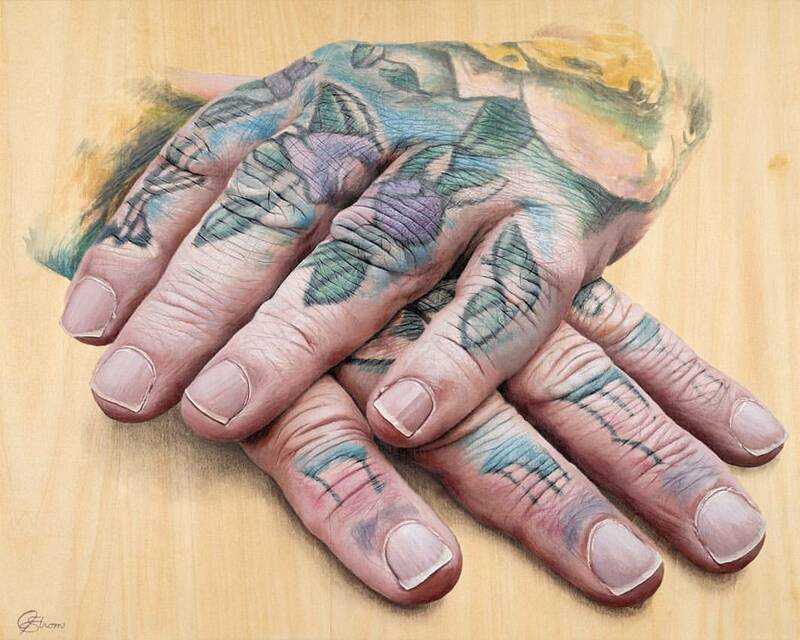 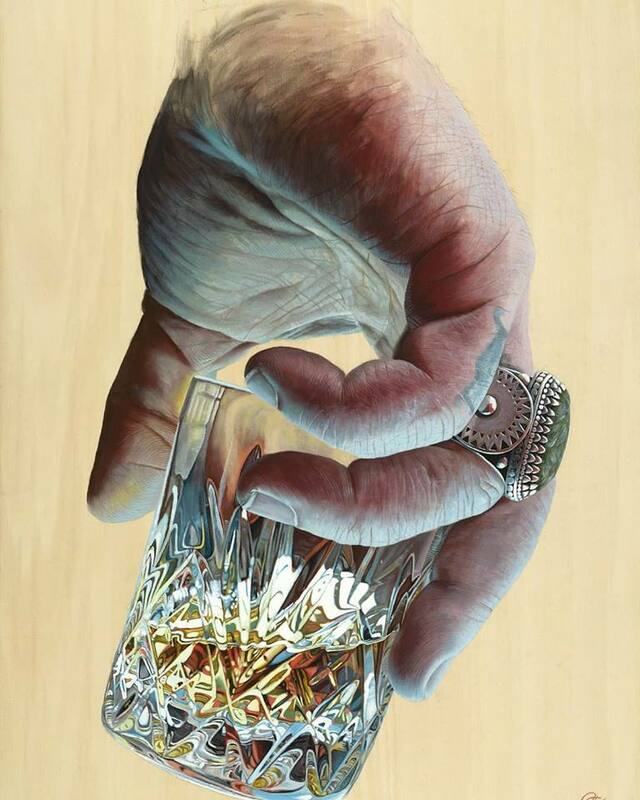 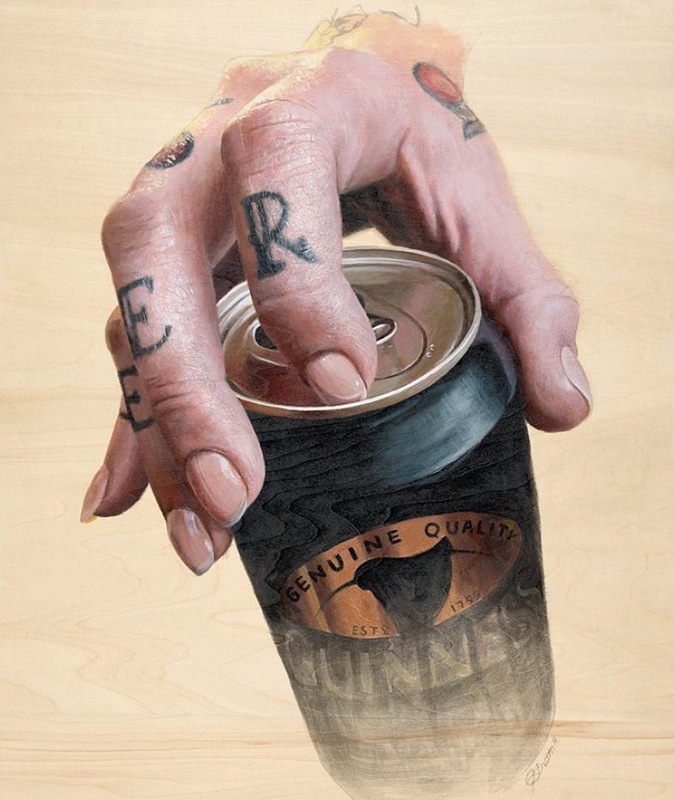 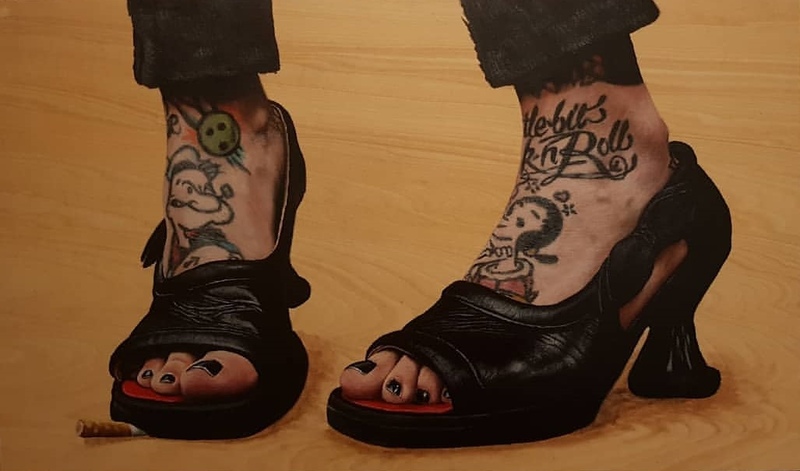 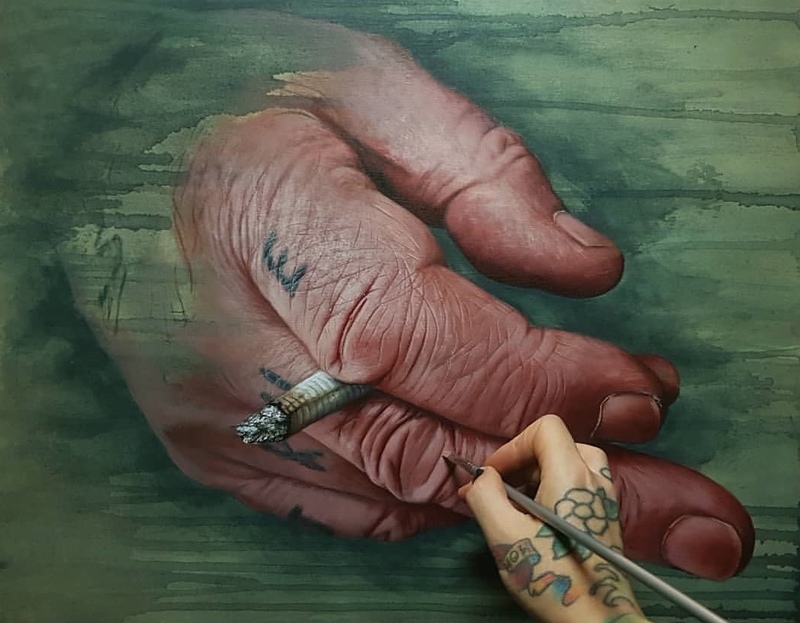 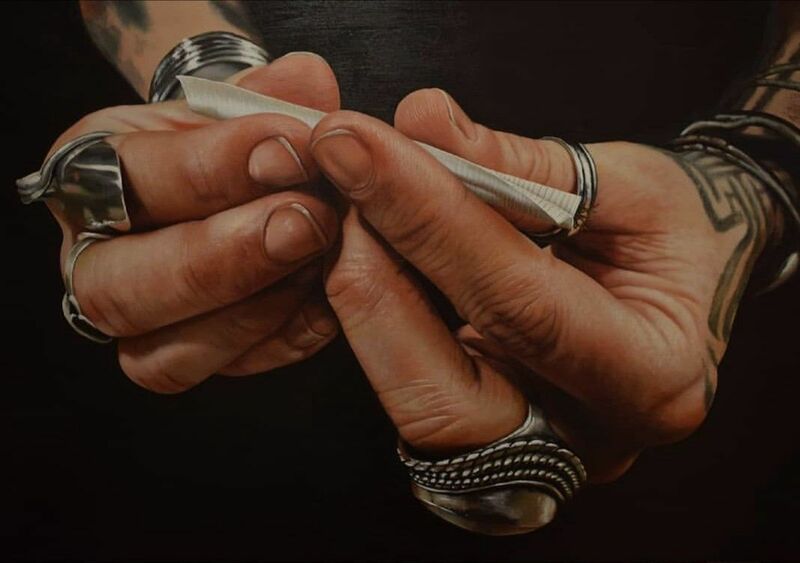 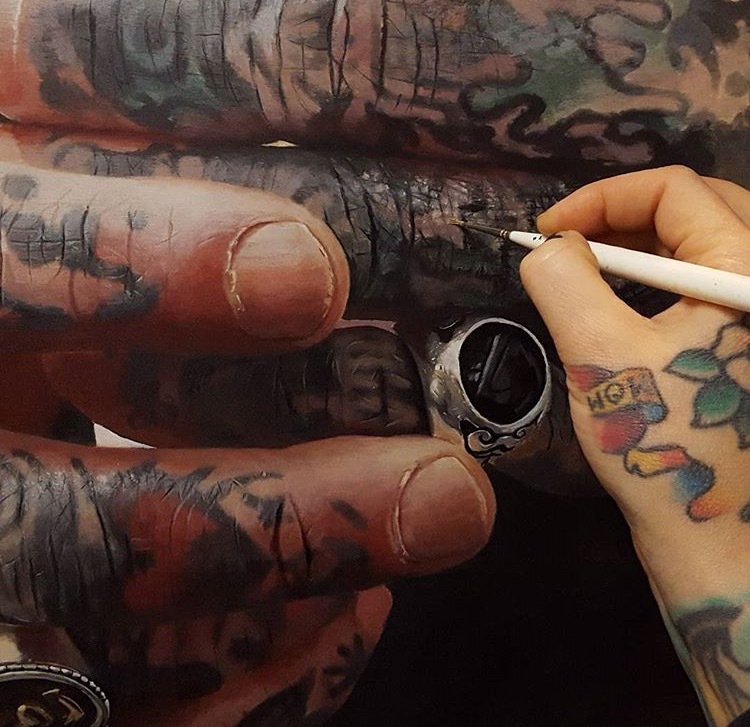 Jackee Sandelands-Strom is a scottish tattoo artist/painter that has made a name for herself through her realistic paintings of hands alternating between acrylic and oil paintings, her work is all about details. 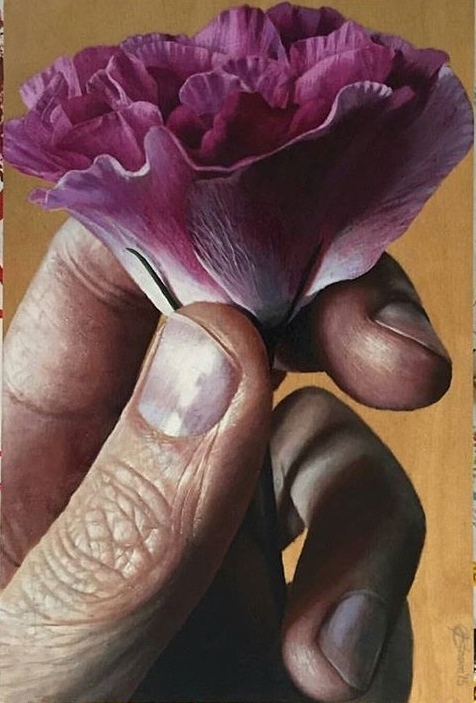 Whether it be the deep wrinkles in a hand, the engraving on a pocket watch, or the folds of a flower. 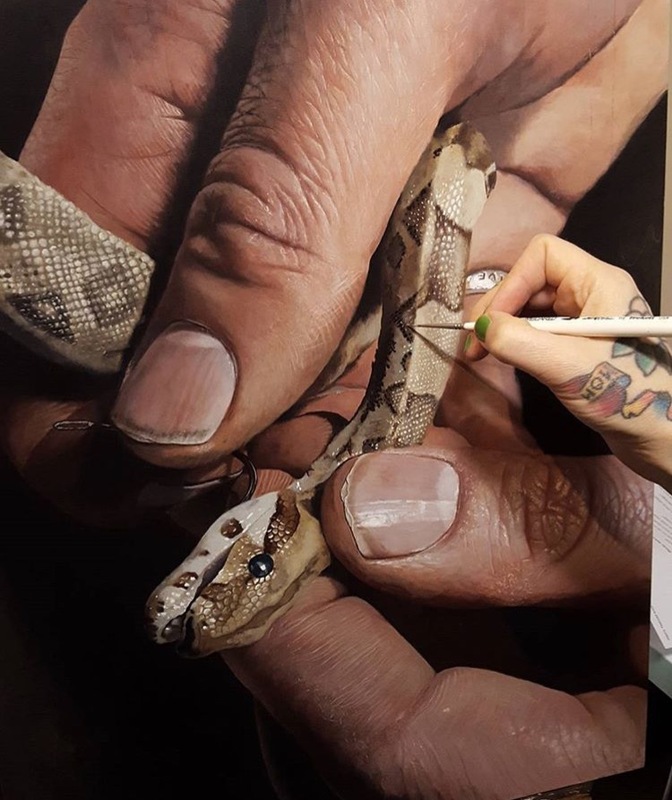 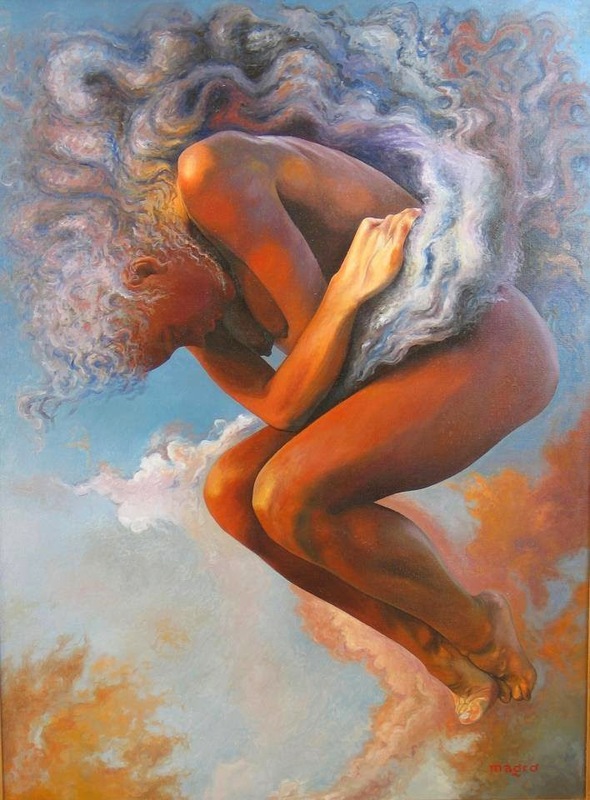 From old to young, male to female, her passion for detail is very apparent in her paintings. 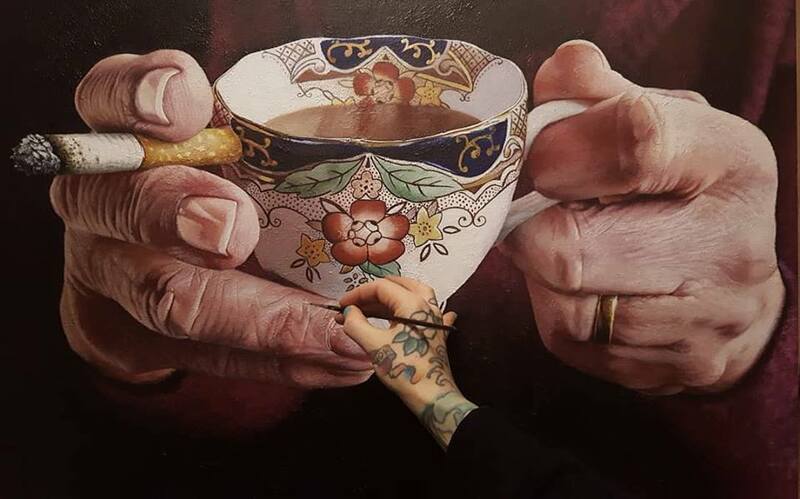 “I believe hands tell a story of life that a face cannot always share, whether it be through wrinkles, calluses or unkempt fingernails, or through the subjects tattoos”. 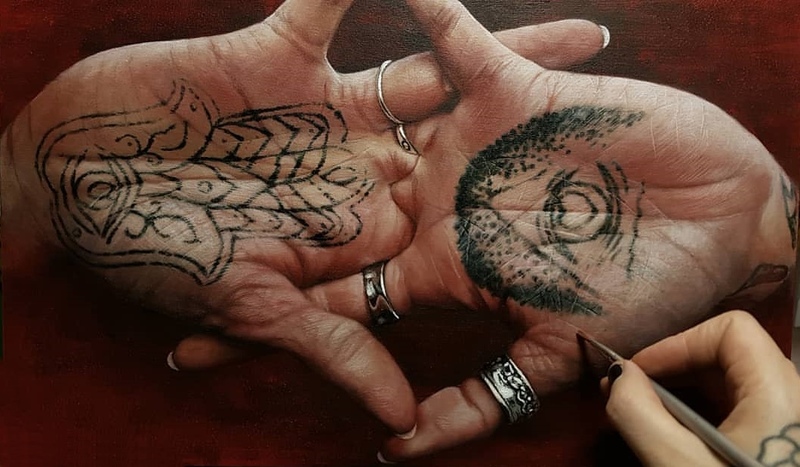 Jackee’s medium of choice floats back and forth between acrylic and oil, but she has recently found the challenge of using acrylic for realism to be a dominant force in her inspiration. 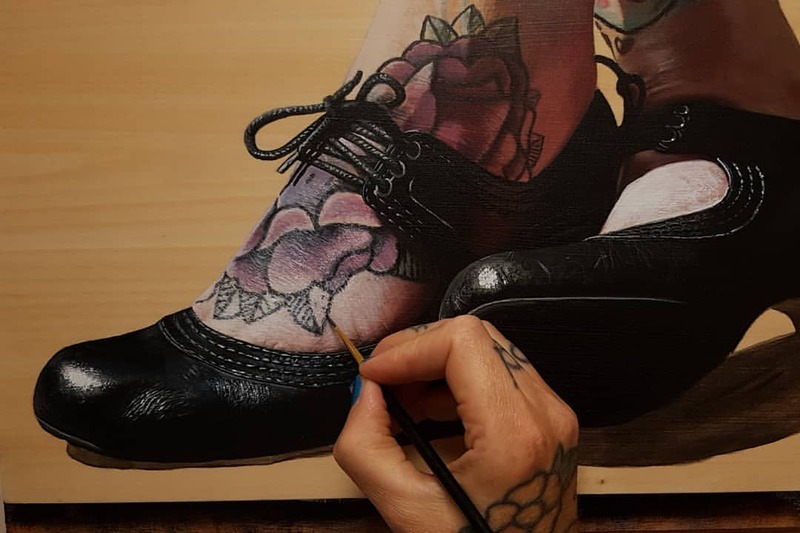 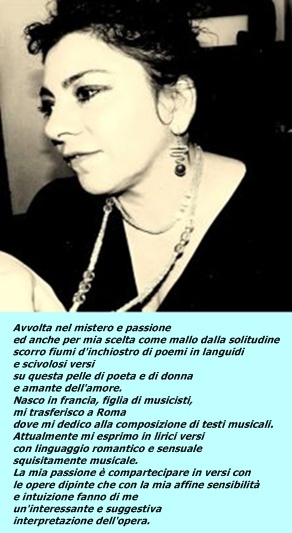 In fact, the reason she got started on her current subject matter was solely to challenge herself to see if she could do it, now it has turned into such enjoyment that she cannot stop herself. 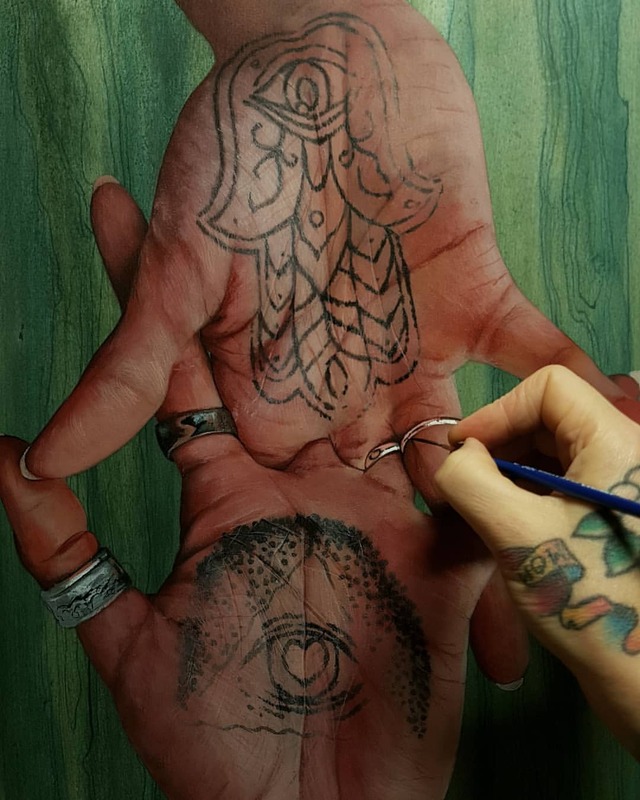 Jackee currently resides in Scotland and pulls her images from traveling with her husband, tattoo artist Tom Strom, with their travels often revolving around the tattoo industry and conventions.